EF International Language School, Santa Barbara, has joined hands with HTO for the fourth year in a row to celebrate Earth Day in a massive coastal cleanup scheduled for April 12, 2019. The EF/HTO model has been picked up by EF San Diego and EF Honolulu, and on that same day in April, hundreds of students will be hitting the beaches in these locations too! For the Santa Barbara event, all 300 students from the EF campus on Chapala Street will spread out to clean up ten South Coast beaches from Summerland to Goleta, while in Hawaii, EF Honolulu will be working on its coastline with Hawaii-based Kokua Hawaii Foundation (founded by Kim and Jack Johnson). 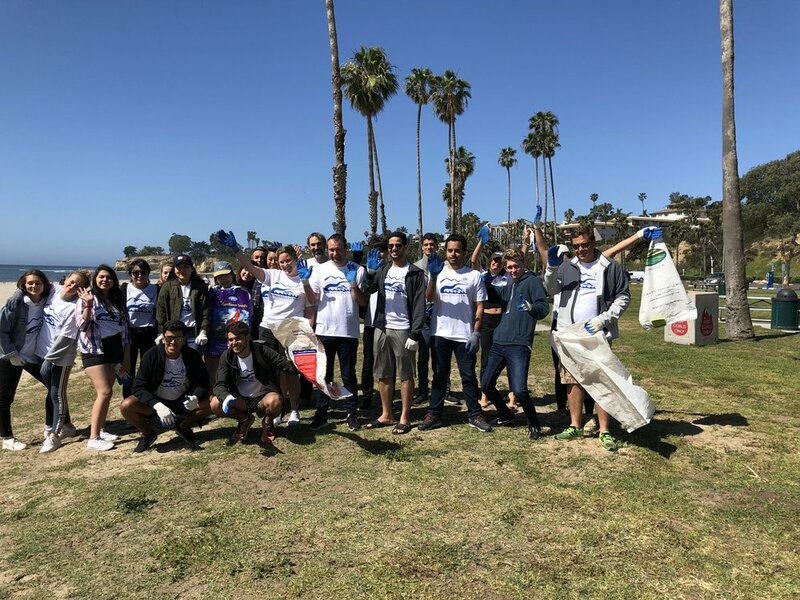 In San Diego, EF San Diego will tackle San Diego beaches, partnering with the Adopt-A-Beach Program, funded by the California Coastal Commission’s Whale Tail Grand and run by I Love a Clean San Diego (ILACSD) of San Diego County.